DealerRater® Launches PrivateBuy™ in Association with CarWoo! Waltham, Mass. 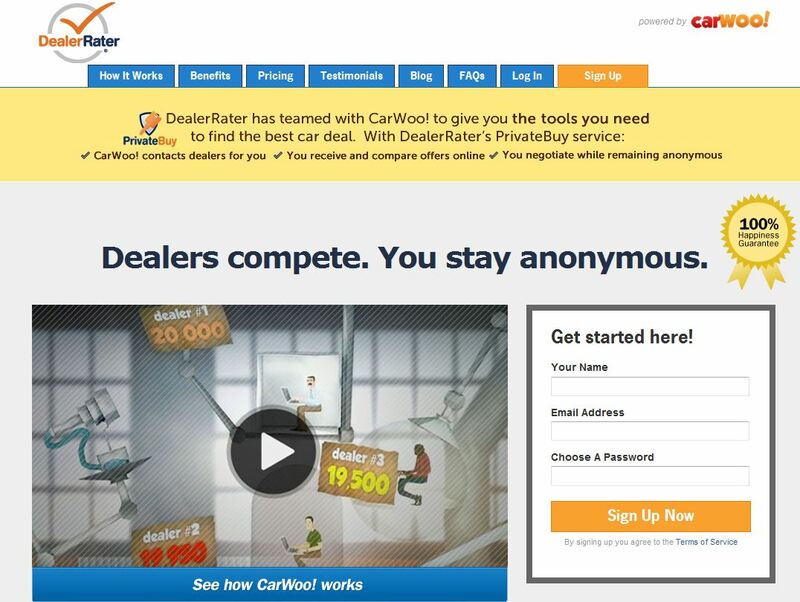 – DealerRater®, the nation’s premier car dealer review website, today announced the launch of DealerRater PrivateBuy™ in association with CarWoo!, the exclusive online marketplace for car buyers and sellers where buyers remain anonymous. PrivateBuy will help DealerRater consumer members find the best market prices online while avoiding dealers that do not value quality customer service. Car buyers visiting the DealerRater site and reviewing dealer ratings, will be presented the opportunity to use CarWoo! through DealerRater PrivateBuy. I stopped dealing with Car Woo. They send customers from far away. You give them a price and they take it to the local dealer and ask them to match it. I can’t do everyone elses job for free.